Varios 970 Lux: All-in-one – Stylish, compact, all-in one unit for Periodontic, Endodontic, Scaling, MI applications and Implant maintenance. Varios 970 is a stand-alone device with two irrigation bottles. It features the new NSK iPiezo engine® offering you more effective treatment in all applications together with a wide range of tips. Optic and non-optic models available. The Varios 970 LUX features twin LED lights, assuring generally clearer vision and allowing easier identification of calculus and plaque during oral hygiene and scaling procedures. 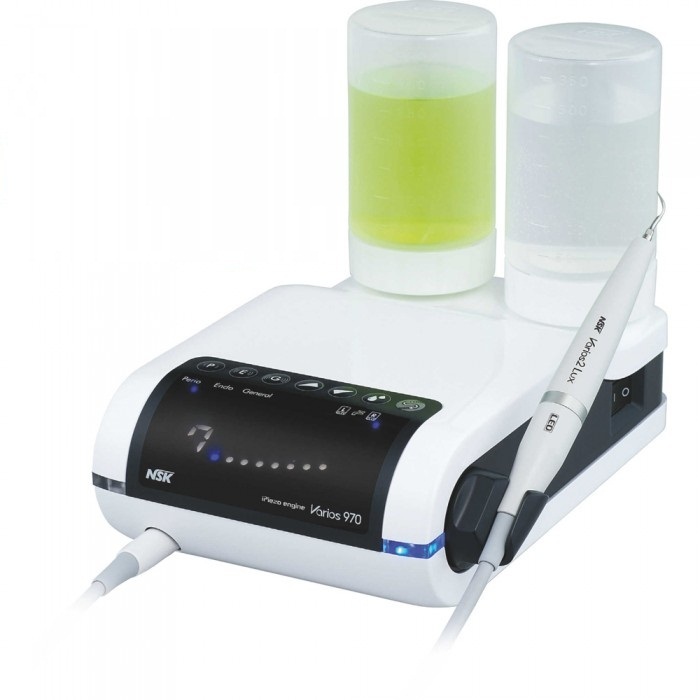 Click the button below to add the NSK Varios 970 Lux Ultrasonic Scaler System LED light to your wish list.